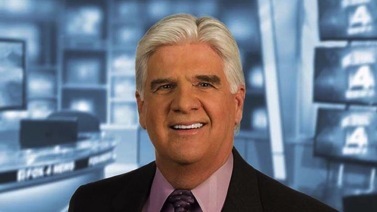 Fox4 anchor/reporter Richard Ray, a fixture at the Dallas-based station since 1983, will be retiring on May 1st, he announced Thursday on his Facebook page. His official departure date from the station will come 10 days after his last on-air appearance. It will be on Easter Sunday, April 21st, when Ray as usual will be anchoring the 9 p.m. newscast as well as the 5 p.m. edition. Ray’s weekend duties also include anchoring the Saturday 6 and 9 p.m. editions. Additionally he contributes a weekly “Lone Star Adventures” feature. Ray, a Minnesota native who grew up in a small farming community according to his station bio, also has worked at TV stations in Nashville, TN, Cedar Rapids and Des Moines, Iowa, and Rochester, Minnesota. During his time at Fox4 (the station was a CBS affiliate when he first arrived), Ray also has been D-FW television’s foremost John F. Kennedy historian. During the 50th anniversary of the President’s assassination in Dallas on Nov. 22, 1963, Ray excelled in re-chronicling the tragic and indelible events of that day. He also was the curator of Fox4’s special JFK website. Ray won’t get nearly the sendoff from Fox4 that WFAA8 anchor John McCaa received before signing off on March 1st. But he certainly deserves more than a passing mention. Both had careers of the same duration, and each distinguished themselves time and again without ever being attention-seekers. That sort of comportment is receding fast. A class act from start to stop, Ray also took the time to reflect on his former KDFW/Fox4 colleague Walter Evans when he died in July of last year at age 86 long after retiring from the station. Ray had kept in touch with Evans and last talked to him by phone about three weeks before his death. Much the same can be said of Richard Ray, a reporter and anchor of the highest order at a station that will be losing another major part of its history.